Home Uncategorized How Blockchain will Change the Future of Financial Service Sector? How Blockchain will Change the Future of Financial Service Sector? Blockchains are new technology layers that rewire the Internet and threaten to side-step older legacy structures. Trust resides at the core fabric of the blockchain network which has the ability to potentially remove intermediaries or disrupt their current operating models. This revolutionary and simple protocol allows transactions to be simultaneously and securely maintained utilising a decentralised public or private ledger. 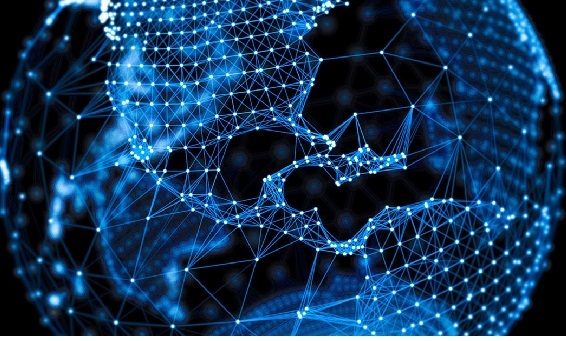 Blockchain framework has the ability to virtually record everything of value and will challenge and disrupt present centralised business models and the financial services sector — no doubt. The present financial system is very complex and that complexity creates risks. A new decentralised blockchain financial system made possible with the use of cryptocurrencies (Bitcoin, Ether, future Crypto $ | £ | €…) could be much simpler by removing layers of intermediation. This could help increase cooperation between banks and engrave trust & integrity at the core of the new blockchain financial system. Furthermore the opportunity to reduce systemic risk will emerge by moving towards a tamper-proof decentralised public/private ledgers where a single version of the truth will triumph. By moving money in different ways could open up the possibility for different types of financial products. We could see financial inclusion increasing across the world as a result of the new blockchain financial system. New digital currencies will bridge individuals who are currently excluded to the new financial system, lower barriers to entry and enable greater competition. Fintech and startup hipsters are already experimenting and successfully cracking the blockchain code, while banks are jumping on the game too as their core business model is continuously being disrupted. We can see collaboration forming between hipsters and suits, where thirty banks, tech giants and other organisations are getting behind Ethereum (a decentralised computing network based on digital currency) forming Enterprise Ethereum Alliance. Big business giants such as Accenture, Banco Santander, BNY Mellon, Intel, JP Morgan, Microsoft, BBVA, BP, Credit Suisse, Fubon Financial, ING, Thomson Reuters, UBS, BNP Paribas, Cisco are uniting to build business-ready versions of the software behind Ethereum. Alex Batlin, blockchain lead at Bank of New York Mellon, said that while the Ethereum alliance will focus on the development of private blockchains, the hope is that these will one day link up with the public Ethereum blockchain, which is open to all.“That interconnection of public and private chains actually creates a very strong network,” Batlin said on a call with Fortune. “Each chain strengthens the other at an exponential level.”So…How Blockchain will Change the Future of Financial Service Sector? Authenticating Identity and Value — At present trust and identity verification is done by intermediaries and incumbents. Blockchain will shift or even eliminate the trust element to the core fabric of the network. Know Your Customer KYC will be performed as a single digital entry and cryptographically secured and distributed across the network eliminating duplicate entries and verification. Key stakeholders that would be effected by this innovative solution are retail banking, wholesale banking, investment banking, asset managers, broker dealers, payment networks, lending marketplaces, equity crowdfunding, regulators and auditors. Distribution of Value — They say money makes the world go round…can blockchain do the same? Financial system moves trillions of dollars daily while ensuring that no single dollar is spent twice. Blockchain can be the standard going forward using smart contracts for the distribution of value be it assets, currency, bonds, diamonds, gold, silver, stocks…The distribution of value using blockchain technology will dramatically reduce cost, speed of payment and counterparty risk as transactions get verified and cleared instantly. Storage of Value — Banking institutions are the custodians of value (commodities, currency, financial assets) for individuals, institutions and governments. Blockchain and payment mechanisms combined with permissioned blockchain decentralised cloud storage systems (like YottaCube.io) would be a more efficient way of storing financial assets minimising cybersecurity risks. Lending Value — Since the financial crisis the lending business has seen a significant amount of disruption with marketplace lending providers such as Prosper, Lending Club, Funding Circle spearheading innovation in the alternative finance space. Debt can be issued, traded and settled on the blockchain which will increase efficiency, reduce frictions and improves systemic risk. Consumers and SMEs will use their digital reputation fingerprint to access loans from peers. Exchanging Value — Financial markets facilitate trillions of dollars of financial assets daily. The introduction of blockchain within this segment will reduce the transactions settlement times significantly from days and weeks to minutes and seconds. Funding and Investing — The present investing model requires intermediaries to create markets by matching investors with entrepreneurs, SMEs and enterprises at every stage of growth from angels to IPOs. This funding model requires intermediaries such investments bankers, venture capitalists, brokers, lawyers which can have high costs attached. The funding and investing space has seen disruptive business models emerging such as equity crowdfunding and mini IPOs, similar to the lending landscape. These innovative business models take the experience online and utilise a peer to peer model where ideas and entrepreneurs connects directly with investors without the need of costly intermediaries. Mini IPOs are also facilitated by new platforms which gives the everyday investors the ability to participate and invest at early stage of company funding cycle. Blockchain will automate many of these functions by making the recording of investments more efficient, transparent and secure. The emergence of cryptocurrencies and smart contracts will fundamentally transform the funding and investing landscape. Initial Coin Offering (ICO) is a new concept that has become available due to the rise of digital currencies. An ICO is a way for the new project to raise funds globally and digitally so that it can be created and launched…Crowdfunding 3.0. One successful example of an ICO being used to fund a successful digital currency project is Ethereum, a public blockchain-based distributed computing platform. Insuring Value and Managing Risk — Risk management is a fundamental component within financial system. Ensuring the protection of individuals and enterprises from losses or catastrophe has been the bread and butter within the system for decades. Managing risk by using blockchain reputational systems to better protect assets, derivatives instruments, business property will increase transparency and efficiency. Finance for Value — Finance activities will see a transformation culture shift. Moving from focusing on manual and heavy lifting transactional activities to a more finance advisory role by identifying and adding value to senior management and organisation as a whole. Accounting — Digitalisation of the accounting system is still in its infancy compared to other industries, some of which have been massively disrupted by the advances of technology. With the introduction of blockchains and Distributed Ledger Technology (DLT) accounting activities within the finance functions will see a shift from double entry accounting to a triple entry one. Blockchain technology enables complete, conclusive veriﬁcation without a trusted party, all financial records reside in the blockchain for everyone to see and verify. Blockchain technology may represent the next step for accounting: Instead of keeping separate records based on transaction receipts, companies can write their transactions directly into a joint register (DLT), creating an interlocking system of enduring accounting records. Audit — Modern financial accounting is based on a double entry system. Double entry bookkeeping requires the trust of outsiders, independent public auditors to verify the company’s financial information. Each audit is a costly exercise, binding the company’s accountants for long time periods. The Blockchain as a source of trust can also be extremely helpful in today’s accounting structures. By using a digital fingerprint which is immutably time-stamped and tampered-proof when recording transactions in the blockchain, eventually it will remove the need for external auditors. The blockchain will bring transparency and trust so the actual network becomes the auditors and the watchdog ensuring financial integrity. Reconciliations — The reconciliations process is monthly control that ensures balance sheet integrity within a finance function. The introduction of Distributed Leger Technology will enable reconciliation and payment to be performed instantly which will reduce counterparty risk, operational risk, credit risk. Reporting & Regulatory Requirements — The distributed ledger would represent a “single version of the truth” on all financial institutions’ reporting. All transaction data will be readily available to the trade repositories and regulators in a unified form and there will no longer be any need for time-consuming reconciliation With the use of smart contracts the quality and transparency of reported transaction data will increase and the reporting costs substantially reduced. Blockchain would bring an improve, simplified and increased efficiency to regulatory reporting. The collection, consolidation and sharing of data will be done from a single source, automatically and in real time. Big Data Value — There are plenty of reasons to gather large amounts of information, especially in real time. The ability to identify trends, track data from its source to its endpoint, and making inferred correlations between data points is highly sought after. The introduction of distributive ledger technology within financial system would be extremely beneficial while monitoring information for security and reporting purposes. Also reporting any suspicious activities to the appropriate authorities for matters of national security and AML. Cybersecurity — Hackers can shut down entire networks, tamper with data, lure unwary users into cybertraps, steal and spoof identities, and carry out other devious attacks by leveraging centralised repositories and single points of failure. Blockchains can increase security by blocking identity theft, preventing data tampering, and stopping Denial of Service attacks. By decentralising and distributing the data across the entire blockchain network and cryptographically securing every transaction the financial system will become more robust. The Future Blockchain Financial System is here…let’s make it a reality!